Must I Participate In An Arbitration Program For Movers? Arbitration Programs For Movers > Who Must Participate In An Arbitration Program? Movers must participate In an Arbitration Program? 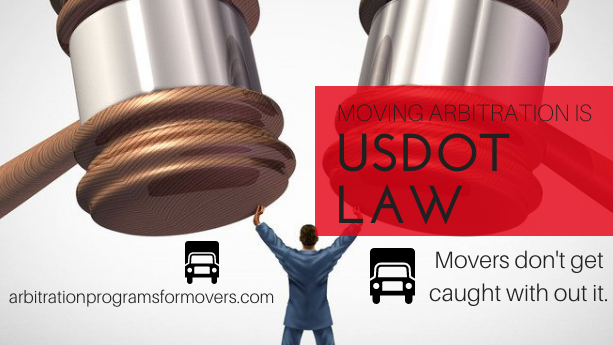 Any household goods moving company, local or long distance, needs arbitration. Any household mover is required to offer arbitration as a backup for claims. However, the customer is not required to sign up for arbitration offered by the moving company. The customer has the choice to opt out of being part of an arbitration program. They can instead take the dispute to small claims court. One advantage of having moving arbitration in place is to save the time and money. Some customers might prefer going to small claims court if they believe they are entitled to a large amount of money. If moving companies were not required to participate in an arbitration program, courts all over the country will be filled with claims against moving companies. This is one of the main reasons why arbitration is set in place for moving companies. Arbitration provides an easy way for parties involved in a dispute to settle a dispute without having to go to court. Household goods moving arbitration is generally used to resolve disputed claims for loss, damage, and suspected overcharges. If you are a local mover or only move within a certain area, an arbitration program may not be needed for you. Although, if your company were to start moving from state to state or long distance moving, an arbitration program is required. Many companies who started out as local movers continued to grow and became interstate movers, so it is possible for your local moving company to become a long distance mover. For some moving companies, it may take years before they take the leap and start doing long distance moves. For others, it may take a few weeks or months before they take the leap. It all depends on how quickly your company is able to learn and adapt. Am I Ready for Arbitration? Everyone in the industry goes at their own pace. There is no need to rush when you are not ready to start a new venture in moving. Taking your time is the best way to do it. When running a business in this industry, you become less prone to mistakes in the long run. If you need any help, please call 702-333-2430. We can give you answers and tips regarding moving, storage and the business of moving.